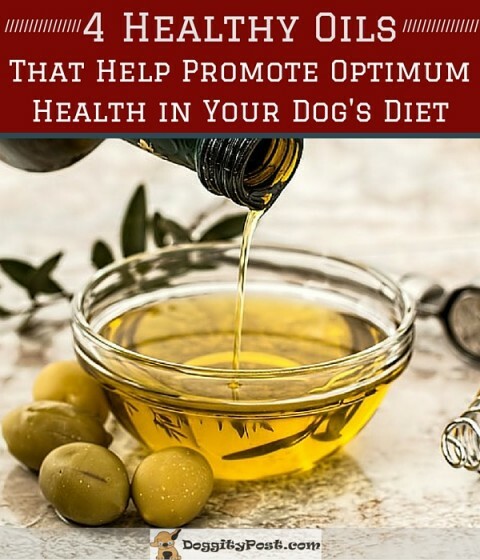 How to Supplement Your Dog’s Diet With Healthy Oils! We cherish our dogs and just as we humans take the time and effort to ensure our overall health, we also need to do the same when it comes to our dog’s diet and overall health as well. Although many dog foods these days supply sufficient amounts of the essential nutrients dogs need, they don’t always come packed with certain healthy oils that can help optimum health in our furry friend. Here’s a guide that will help you choose the healthiest oils for your dog. What are the healthiest oils for dog’s diet? Fish oil contains EPA and DHA, omega-3 fatty acids that help arthritis, and also has some anti-cancer effects, says Nancy Scanlan, DVM, CVA, MSFP, and executive director of the American Holistic Veterinary Medical Foundation. Fish oil can also improve your dog’s memory. While fish oil usually comes from fish higher on the food chain, like salmon, krill oil hails from tiny shrimp-like organisms that rank a little lower. This makes krill oil less likely to be contaminated with mercury, Dr. Scanlan says. It also contains EPA and DHA, and will help give your pet healthier joints and skin, in addition to other benefits. Extra-virgin coconut oil has become a popular choice for humans because it’s a healthier alternative to more processed saturated and trans fats, and the same applies to dogs. Coconut oil has also been shown to help dogs lose weight, give them more energy, and offer relief to dry skin. Bonus: It will help improve your dog’s bad breath! Too much of any oil can cause weight gain, says Dr. Scanlan. “A large dose of oil all at once can cause pancreatis in a susceptible individual—especially if they are fat,” she adds. Too much oil can also lead to a vitamin E deficiency if you don’t properly supplement with some additional vitamin E.
Fish oil can prolong the time it takes blood to clot, so if your pet is going to have surgery, it’s best to stop the oil for at least five days before and five days after the operation, Dr. Scanlan says. How do I know if oils are right for my dog’s diet? If your dog is consuming a commercially available pet food and is suffering from skin conditions (like skin flaking or a dull coat), inflammation diseases (such as arthritis and cancer), or organ system damage, then talk to your vet about potentially adding oils that are rich in omega-3 and omega-6 nutrients to your dog’s diet, says Dr. Mahaney.